Dependable Exterminating provides an Annual Home Protection Plan to protect your home from pests. You have more important things to do than worry about than Insect Control in and around your home. Let us be your Home Pest Control Company that you can Depend On. Give Us A Call Today. 1-844-305-8999. Dependable Exterminating - Your Pest Elimination Expert Working hard to protect you and your home from pests! You have more important things to do than worry about pests in your home. Pests are more than just an inconvenience; they can pose health risks to adults, children, pets and even cause serious damage to your home. 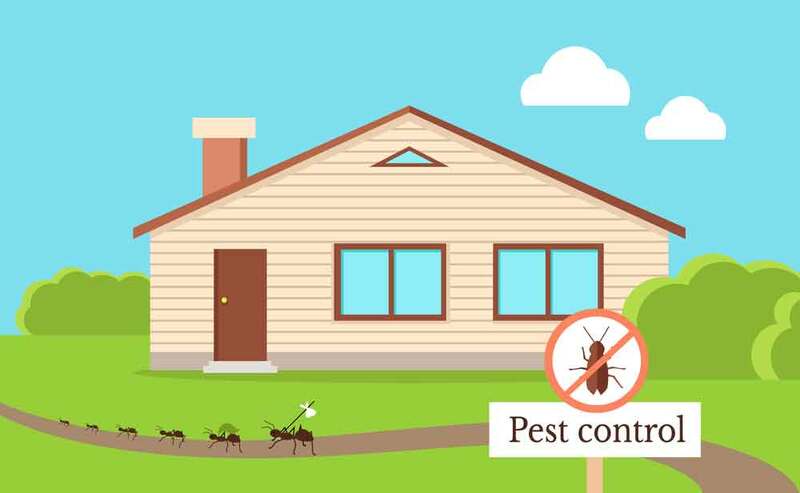 Dependable Exterminating technicians are trained professionals, who provide expert home pest control services as well as expert advice on how to help maintain a pest free home. Dependable Exterminating Annual Home Protection Plan will give you the peace of mind you need when it comes to knowing that your home is well protected against pests. Here at Dependable, we will handle all concerns you might have, whenever and as often as they arise. Our Annual Home Protection Plan features an initial inspection and treatment in the spring of each year to prevent pest problems before they get out of hand. With each service, a technician will thoroughly inspect and treat your home as well as provide you with a written report.